Pax 3, DaVinci IQ, Or Mighty: Which One Is The Better Vape? Are you in the market for a new vape? It’s always good to research before you make the investment. Here’s the scoop on three top-sellers. Thinking about picking up a new vaporizer? There are more choices out there than ever, and it can be difficult to find exactly the right investment piece. When it comes to portables, the Pax 3, DaVinci IQ, and the Mighty are three major contenders for the best vaporizer. But, which ones better for vaping weed? To help you get in the know before you buy, here’s how they all stack up. The Pax 3 is one of the most coveted vaporizers on the market. Excellent for both concentrates and flower, this vape features an extremely fast heat-up time and is made with medical-grade materials. It features an aluminum casing, a stainless steel oven, and a food-grade silicone mouthpiece. 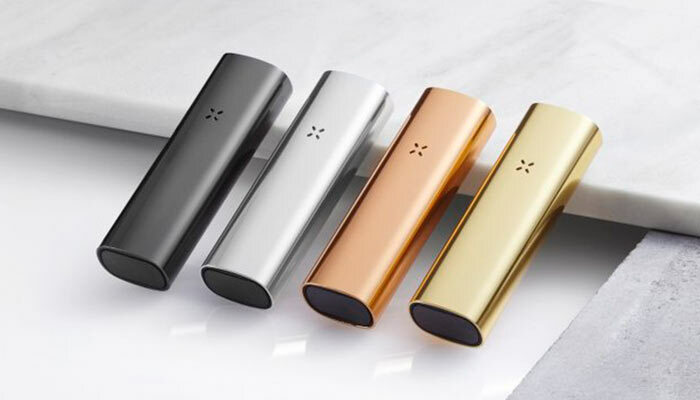 A major upgrade from the Pax 2, the Pax 3 features extended battery time, which means that this vaporizer is excellent to take on the go. Like many vaporizers these days, the Pax 3 can be customized via a smartphone app. It also features lip-sensing technology that begins heating the vaporizer as soon as you touch it to your mouth. It cools again once the vaporizer is set down. These sensing and temperature controls can be customized with the app. The downfall of this vaporizer? Though amazing, the Pax 3 uses a stainless steel oven and vapor path, which some might find alters the flavor. Other vaporizers use inert glass or ceramic, which is thought to provide the best taste. The Pax 3 also doesn’t offer low-temperature options, as many other vapes can go as low as 290°F for a lighter cannabis experience. Interested in learning more about the Pax 3? Check it out at Namaste Vapes. For those who loved dried flower, the DaVinci IQ is a super stylish vape with smartphone app customization and Bluetooth integration. Like the Pax 3, this vaporizer features four preset temperature settings and allows consumers to further personalize their experience via their app. 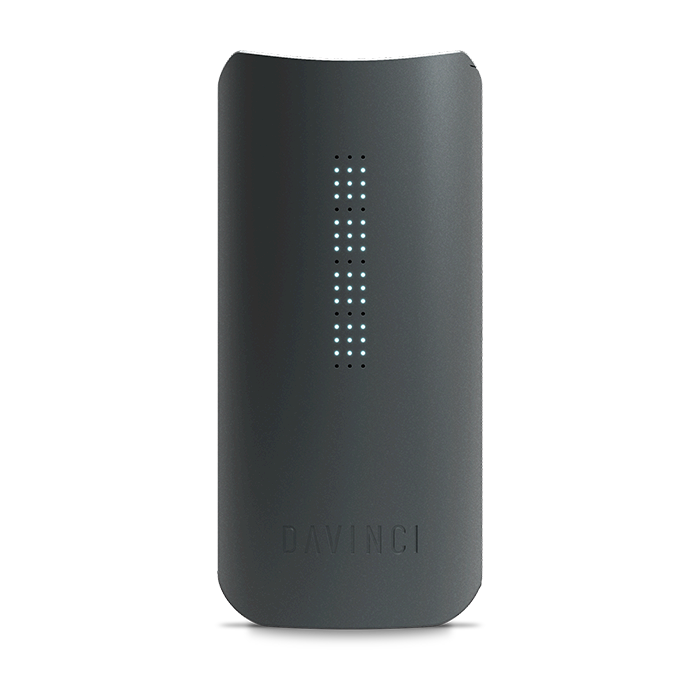 The DaVinci IQ’s battery tends to last about three hours, which makes it good for an evening out. The vapor path for the IQ is made with ceramic zirconia, which is an excellent heat conductor and makes for a very clean, great tasting vapor. Unlike metals, ceramic does not distort taste. This makes for an excellent dried flower experience. The IQ’s biggest criticism? This vape is for dried flower only! Unlike the Pax 3, the DaVinci IQ was not designed for concentrates. The battery life may also be a little too short for some, especially those who want to take it with on a long night out. The DaVinci is also a little larger than the Pax 3, making it slightly less discrete. Thinking about buying a DaVinci IQ? Namaste Vapes offers the best deals. The Mighty is brought to you by the makers of the Volcano, so you can count on this vaporizer to deliver some extremely high-quality inhalations. Indeed, this portable device creates a thick and milky vapor with an excellent taste. Unlike both the Pax 3 and the DaVinci, the Mighty features a dual convection and hot air conduction. That means that there is little risk of accidental combustion and the heating process is very consistent. The Mighty is also extremely durable and well-made. Though this vape has a bit of a rugged appearance, this machine was designed for practicality and overall quality, not flashy appearance. This vaporizer can handle both dried flower and hard wax/BHO style concentrates. The downside to the Mighty? Let’s be honest, it’s not very attractive. This bulky guy is likely to make your pocket look a little funny. This vaporizer can also get super spendy. It often retails for as high as $469.00, but it is sold on Namaste Vapes for a low $349.00. Another major issue with this vaporizer is the plastic vapor path. Plastic, even heat resistant plastic, is not considered the best material for vaporizers or smoking products. The Mighty also doesn’t get quite as hot as the other vapes, which could be a downer for those who want a higher intensity experience. If the Mighty sounds like the best vaporizer for you, you can purchase it at a discounted price at Namaste Vapes. All three of these vaporizers have some seriously cool features, and each one would make for an excellent investment. In terms of overall vapor pull quality, the Mighty wins hands down. However, the plastic construction does knock this vaporizer down quite a few points. The Pax 3 and the DaVinci IQ have vapor paths made out of higher quality materials, making them preferable. In terms of portability, ease, and stylishness, the Pax 3 and the DaVinci IQ are also more likely to be the popular products. Out of the two of those, the DaVinci IQ is more likely to give you the best flavor and has a greater temperature range. Out of this list, the DaVinci IQ is probably the best portable flower vape. Though, anyone hoping to dabble in concentrates will want to pick up a Pax 3. The Pax 3 is simply more versatile, though the DaVinci is more likely to provide a better experience. All of these vapes and more can be purchased at a discounted price at NamasteVaporizers.com. Namaste Vapes has one of the largest selections of vaporizers on the web. You can also browse through reviews and video demonstrations for all vapor products.